San Francisco 49ers wide receiver Anquan Boldin is a finalist for the Walter Payton Man of the Year Award for the second straight year. I’m honored to be a finalist for the Walter Payton MOY Award. Thank you for each of you who has supported me and the Q81 Foundation. The NFL Players Association presented Boldin with the Byron “Whizzer” White Award – the organization’s highest honor – in 2014, which provided $100,000 for his foundation. 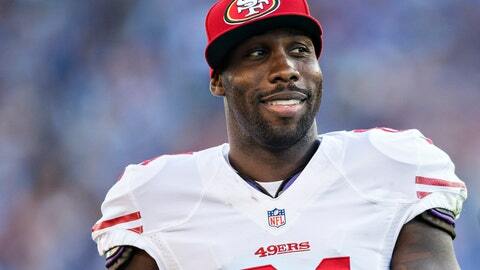 The 35-year-old Boldin completed his third season with the 49ers and is scheduled to become a free agent.